What better way to complete a tropical birthday party than with these fun cakes!! 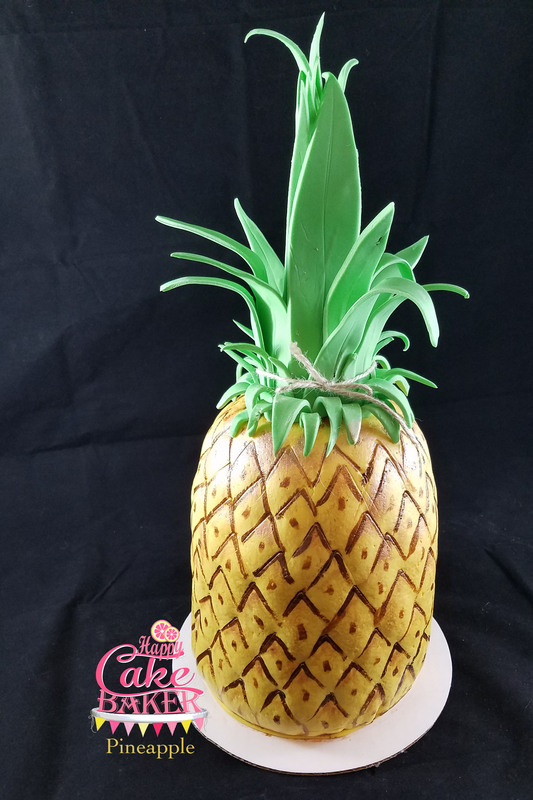 Red Velvet cake covered in fondant and shaped like a pineapple! 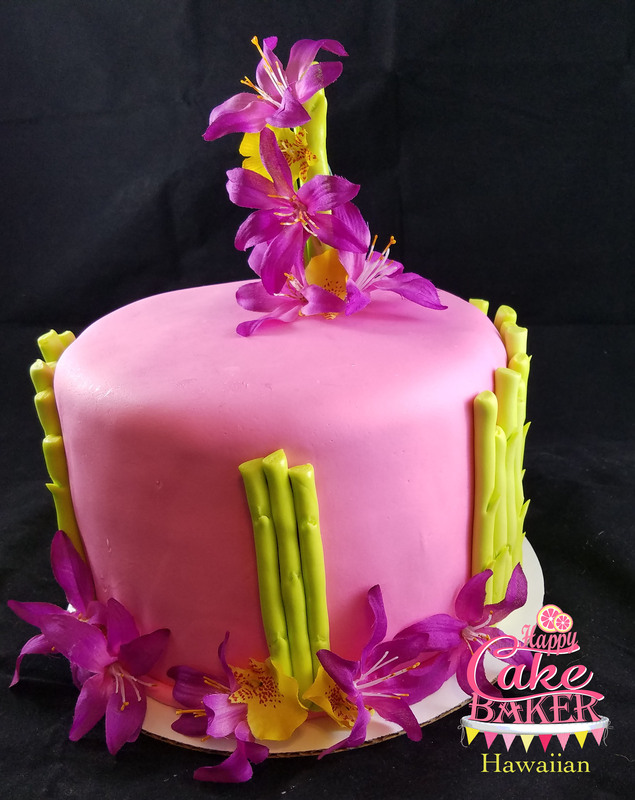 The second cake, also Red Velvet, is a fun mix of flowers and bamboo.